RedLink, a leading business intelligence provider for scholarly publishers announced that American Psychiatric Publishing (APP)signed up with RedLink Access to meet their data analytics needs. APP’s partnership with RedLink will involve them using business intelligence to increase sales efficiencies and support them in facilitating their mission for advancing research on psychiatry as well as providing the most advanced care for for individuals with mental disorders. Our team at RedLink welcomes the opportunity to work with APP and look forward to supporting them in their future goals. APP’s publications cover a wide range of descriptive topics on psychiatry. Being leaders in research in psychiatry, APP stands out in providing an all-in-one virtual library providing mental health professionals with key resources for diagnosis, treatment, research, and development. Their journals include American Journal of Psychiatry, Journal of Neuropsychiatry and Clinical Neurosciences, Psychiatric Services, and FOCUS. 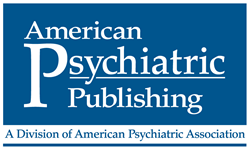 American Psychiatric Publishing (APP) is the world’s premier publisher of books, journals, and multimedia on psychiatry, mental health and behavioral science. We offer authoritative, up-to-date and affordable information geared toward psychiatrists, other mental health professionals, psychiatric residents, medical students and the general public.